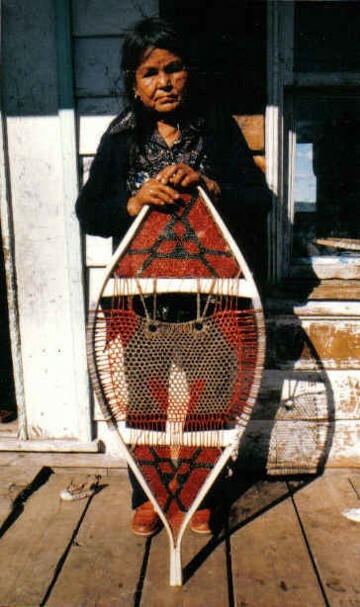 Delicate grace and meticulous workmanship, combined in a harmonious blend of function and art make the Attikamek snowshoe one of the finest examples of handmade Indian snowshoes in North America. 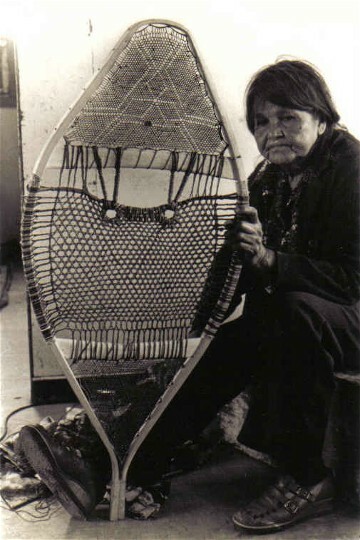 While Indian snowshoe making was highly developed throughout all of northern Canada and the US , it reached it's peak of refinement in eastern Canada and Maine, where the snowshoe transcended the merely utilitarian to become fine art .In these regions, the men displayed their skill and aesthetic sensibilties in the fashioning of the snowshoe frames , where the wood staves were often bent into fanciful shapes , making them pleasing to the eye without diminishing their functionality. 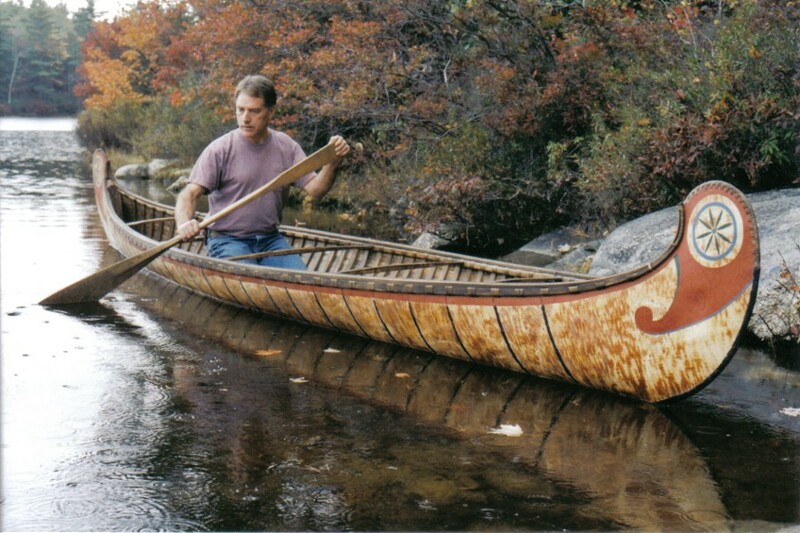 To the south , the front of the snowshoe was often bent in the ''square toe '' pattern and , in some areas , further hollowed along the sides to enhance the overall effect ; farther north ,snowshoe tails were given the rounded or squarish forms known as the '' beavertail'' style. 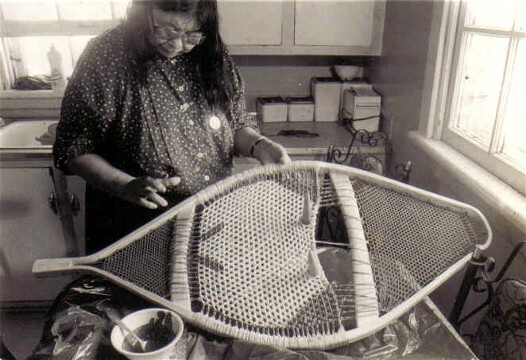 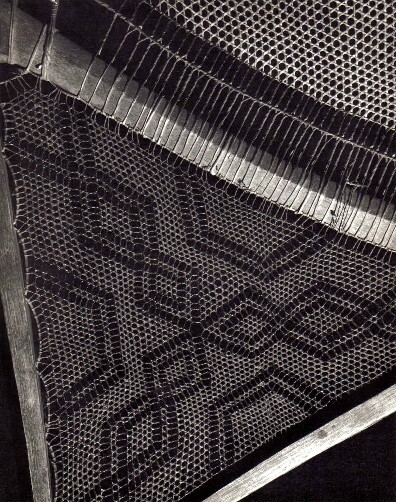 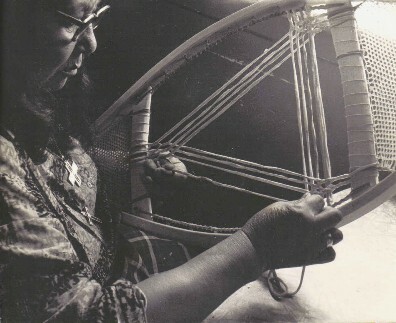 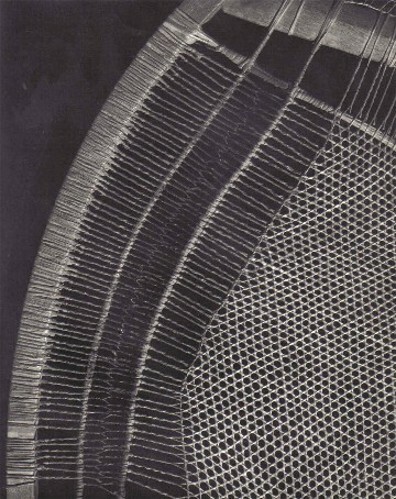 The making of these more elaborate frames required additional labor , and consequently greater care was expended in their weaving , as the most complex woven designs can be seen in these snowshoes ; here the women expressed their talent by incorporating beautiful geometric patterns in a mesh that was sometimes so closely woven that a matchstick would not pass through. 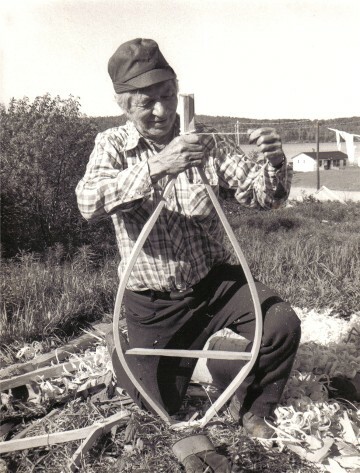 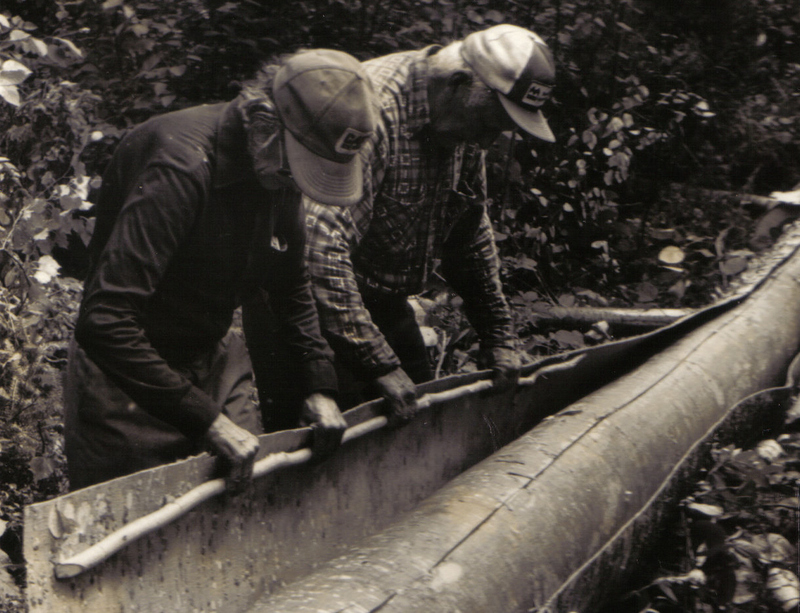 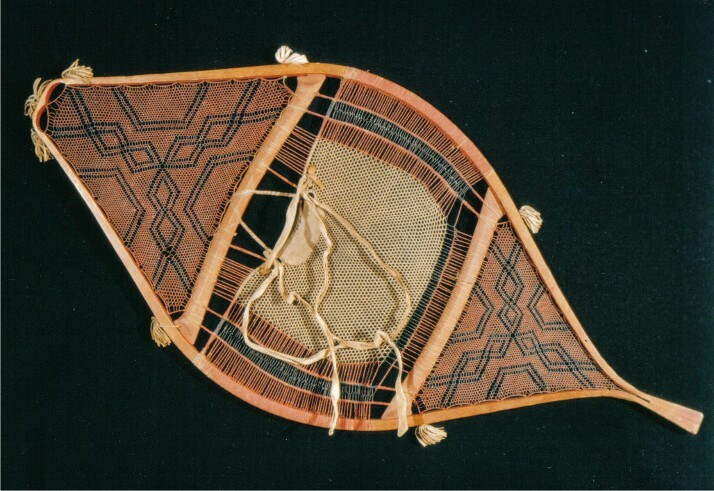 While MAKING THE ATTIKAMEK SNOWSHOE was not written in a ''how -to '' style , it was meant to provide an aspiring craftsman the detailed information needed to reproduce the fine work of earlier generations while serving ,as much as possible, the broader scope of ethnology. 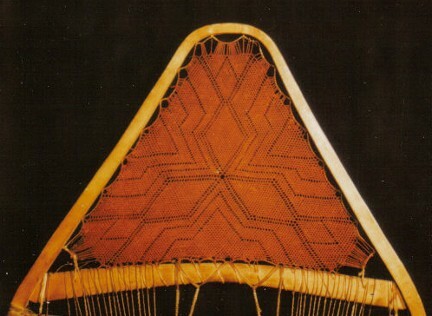 The different species of wood used for snowshoe frame construction and their advantages and disadvantages. 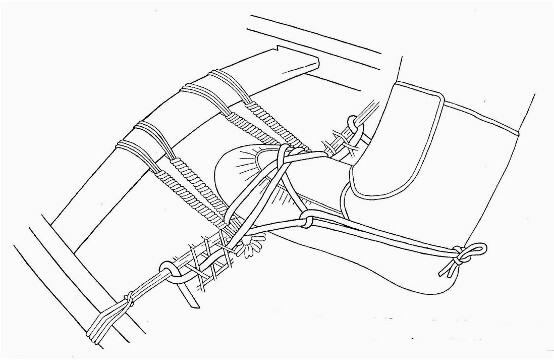 The different types of animal skins used for snowshoe lacing and their advantages and disadvantages , as well as seasonal variations in skin material. 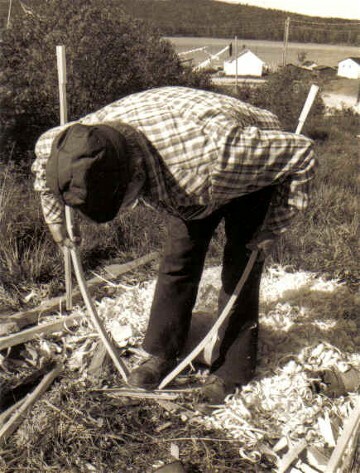 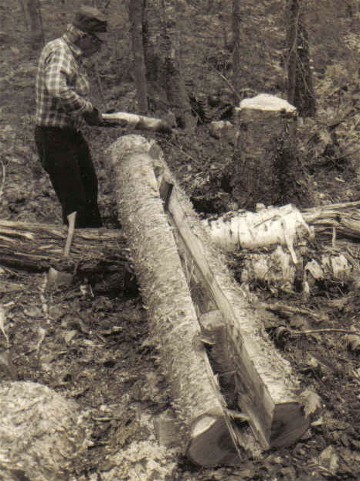 The preparation of raw hides for snowshoe material , including techniques employed during both cold and warm weather , and a discussion of the traditional tools. 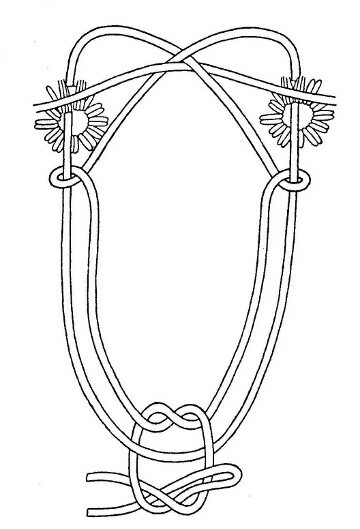 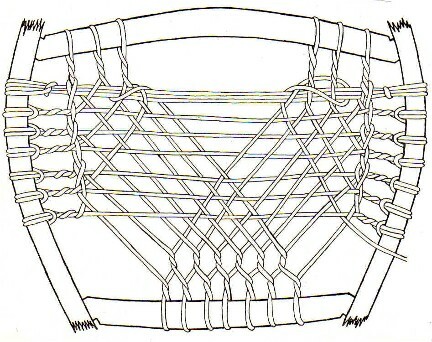 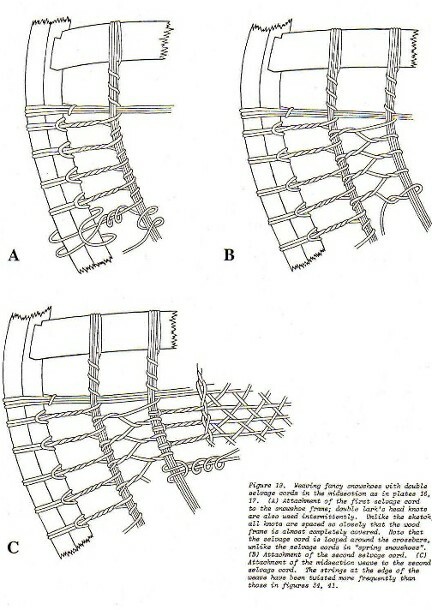 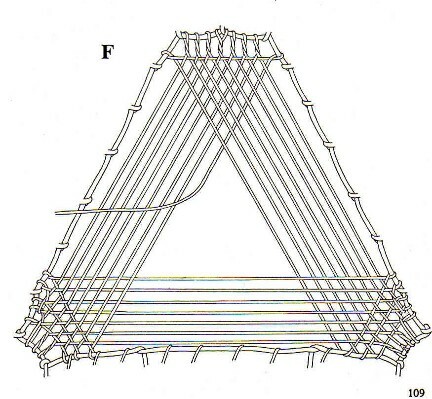 Lacing the snowshoe , including both basic weaving styles as well as the incorporation of decorative geometric patterns in the toe tail portions ; also the lacing of the mid-section with the fancy double selvage cords. 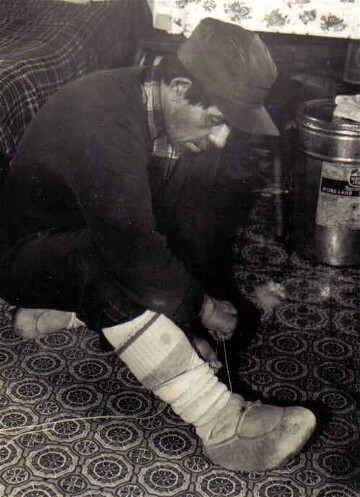 A discussion of traditional moccassins and related footgear and their advantages over modern footgear for snowshoe use.